Supplied master keyed off the shelf. For timber doors hinged on the left or right. Keys suitable for use on doors up to 54mm thick. Supplied master keyed. Brass bolt with hardened steel rollers. 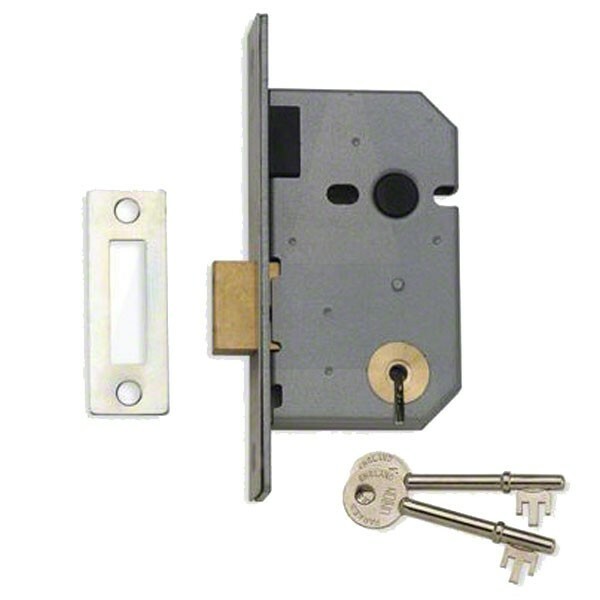 Deadbolt locked or unlocked by key from either side.